This tour is an enthralling journey through eastern India, a relatively unknown part of the country but one that is full of interest for the visitor. Our main focus is the magnificent temples and rich cultural heritage, much of it upheld by the region’s numerous tribal groups – but we’ll also go wildlife spotting and experience contemporary Indian life in the great city of Kolkata. 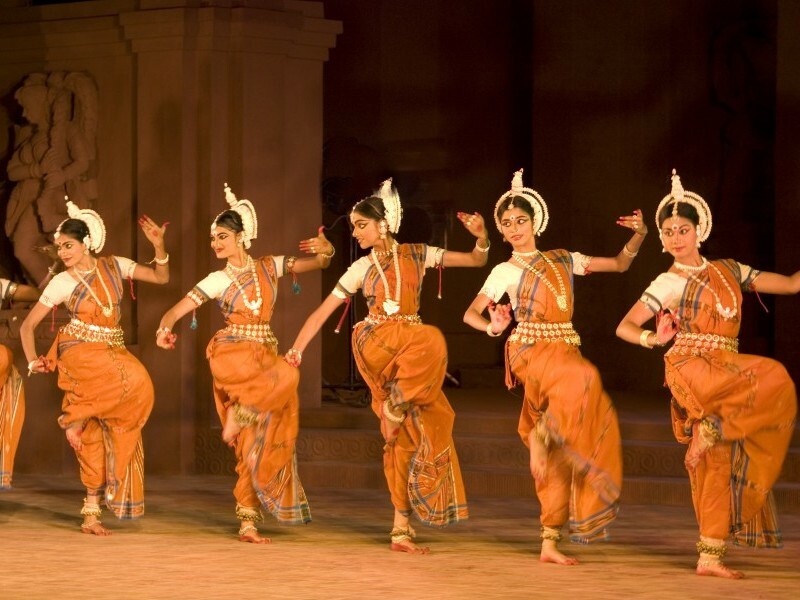 This varied program is a great opportunity to gain insight into India’s exotic past and vibrant present in equal measure. 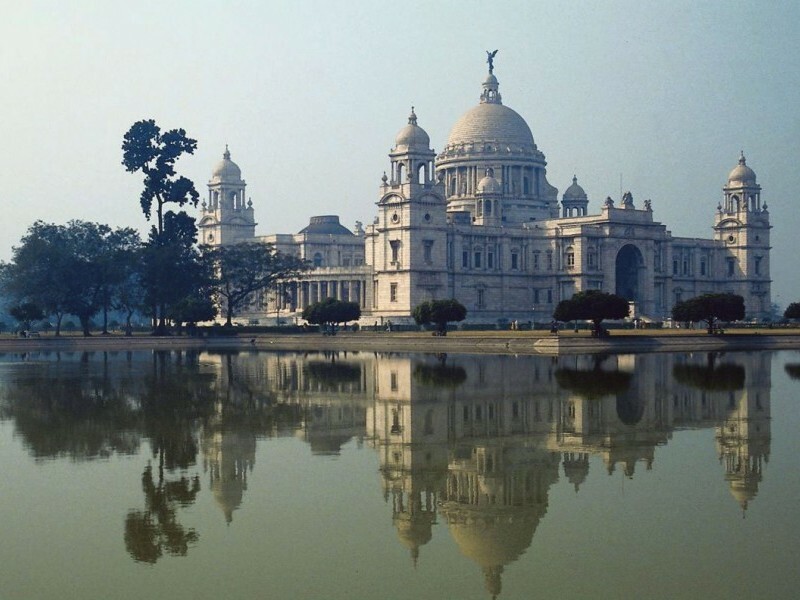 Our itinerary begins in the Bengali metropolis of Kolkata; after an overnight stay, we’ll take a two-day excursion to Bishnupur in the nearby plains, visiting several of the famous terracotta temples before returning to Kolkata for further exploration of the city sights, such as the Victoria Memorial and Kali Temple. we travel onwards to Dhenkanal for a two-night stay. Dhenkanal is our base for trips to the surrounding tribal craft villages, each one with its own unique speciality. We’ll have chance to see a tremendous array of traditional artistic skills as we visit a tribal jewellery workshop, watch sari weavers at work and stop by at metalwork villages where the so-called dhokra craft combines metallurgical skills with a wax technique to create exquisite ornaments. Next we travel to Satkosia Tiger Reserve, where we’ll spend two nights: this beautiful nature reserve is a sanctuary for various species of deer and antelope, plus wild elephants and a small population of tigers and leopards. From here it’s on to the town of Auli and an excursion to the wonderfully atmospheric ruined Buddhist temples of Ratnagiri, Udayagiri and Lalitgiri, set deep in the Orissan countryside. The following day is spent at Bhitarkanika Sanctuary, a wild area of mangrove-fringed coastline known for its crocodiles, followed by an entertaining cookery lesson in the evening. 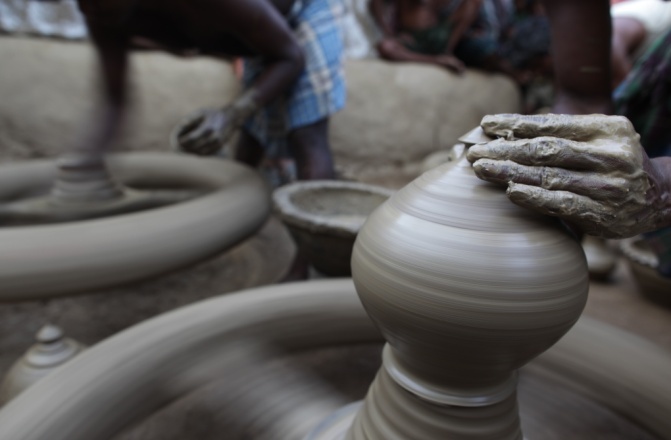 We’ll spend a day at the pottery craft village of Bharigada, and call in at Mangarajpur to see the unique local tradition of “golden grass” craftsmanship, before reaching the seaside resort of Puri – famed for its broad sandy beach and grand Jagannath Temple. During our three-night stay, day trips will travel to the utterly magnificent Sun Temple at nearby Konark and the attractive cloth painting tradition at Raghurajpur village, a great chance to purchase some delightful souvenirs. There’s also plenty of time to laze on the beach. Finally, a short drive takes us back to Bhubaneswar for the train to Kolkata, where we’ll spend one last night before the tour ends. Arrive at the international airport of Kolkata. After a traditional 'Swagat' (Welcome) our KVT’s representative would assist you at the airport and transfer you to the hotel for check-in. Rest of the day is free to relax or free to explore the city on own. Today after breakfast we drive from Kolkata to Bishnupur (Distance: 145Km appx). Later we visit Terracotta temples; the surviving brick temples of Bengal were mainly built during a period when the region was witnessing a revival of Hinduism with particular focus on the cult of Krishna. This was after prolonged exposure to Islam. As a result, temples built during the sixteenth century and later absorbed the monumental style of the traditional Muslim building forms and techniques. This day we explore temples of Bishnupur, including Jor-bangla, also called char-chala a style of temple architecture that arose in Bengal. Madan Mohan temple, King Durjana Singh Deva built the temple in the ekaratna style, a square flat-roofed building with carved cornices. Shyam Rai temple, the walls are richly decorated with terracotta carvings featuring aspects of Lord Krishna’s life. Last we visit, Ras Mancha Temple, It is the oldest brick temple and was built by King Bir Hambir. Today after breakfast we drive back to Kolkata (Distance: 145Km appx). During afternoon, we reach Kolkata and we have a day free to explore Kolkata’s colourful city. Morning we visit Victoria Memorial Hall. It is one of the most fascinating landmarks of Kolkata. Built entirely of white marble, Victoria Memorial, one of India's most beautiful monuments, represents a unique combination of classical European architecture and Mughal motifs. The Victoria Memorial blends the best of the British and Mughal architecture. Later, we visit Kali Temple; it is located on the banks of the river Hooghly (Bhagirathi). The temple is on the banks of a small canal called Adi Ganga which connects to the Hooghly. Evening we will be transferred to railway station to catch the overnight train to Bhubaneswar. Early morning we reach Bhubaneswar railway station, later we drive from Bhubaneswar to Dhenkanal (Distance: 80Km appx). Upon arrival check-in to the hotel and relax. Evening we visit Karmul village to see tribal Jewellery making art. Later we take a short drive to Joranda Gadi temple, it was built in early 20th century, but the shrine existed from early 14th century. It is the Samadhi Peetha of Mahima goswami, who spread the Mahima Dharma.The principles of the sect, includes doctrines of Jainism. We also witness the evening prayers of sadhus. Today we enjoy a short drive from Dhenkanal to Nuapatna textile village (Distance: 40Km appx), this village with many co-operatives of weavers, where centuries of tradition woven into fabric. We continue to Sedaiberani village to see Dhokra metal craft before returning to Dhenkanal in the evening. Morning after breakfast we drive to Satkosia Tiger Reserve (Distance: 100Km approx. | 3hrs drive), afternoon we reach and check-in into Eco Camps with in park. Satkosia spreads along the magnificent gorge over the mighty river Mahanadi in Orissa. Evening we have free time to explore nearby village life. Today we explore Satkosia; a paradise of immense scenic charm. It is one of the best ecosystems in the country, representing a diverse floral and faunal extravaganza. Around 38 species of mammals, 161 species of birds, 27 species of reptiles, 4 species of amphibians and 183 species of fishes are found in the reserve. We visit the reserve to look for chital and sambar deer, elephants and a great number of bird species and, just possibly, tigers and leopards. Morning after breakfast we drive from Satkosia to Auli (Distance: 200Km approx. | 4-5hrs drive). Today we visit ruined Buddhist monasteries at Ratnagiri, Udaigiri and Lalitgiri. The beautiful hills and rice-growing lands are home to remarkable Buddhist remains of the Vajrayana sect, set in an idyllic landscape surrounded by green fields. The excavations at the three sites have revealed Buddhist stupas, monasteries, sculptures and Buddha images. Early morning we drive from Auli to Bhitarkanika Sanctuary (Distance: 50Km appx) Bhitarkanika is a hot-spot of biodiversity. It is home to largest population of giant salt water crocodiles in India. Also home to more than 215 species of avifauna including amazing eight varieties of Kingfishers; it is the second largest viable Mangrove Eco-System in India Harbors more than 70 species of Mangrove and its associates. Later we return back to Auli. In evening we participate in cooking classes. This morning after breakfast we visit Bharigada village to see traditional pottery making and ceramic crafts. Today after breakfast we drive from Auli to Puri (Distance: 250Km appx) en-route we’ll stop at Mangarajpur village to see the demonstration of “Golden Grass” work where grass is fashioned into lamps, pots and ornaments, and also visit Mangarajpur Palace. Today we drive from Puri to Konark (Distance: 40Km appx). 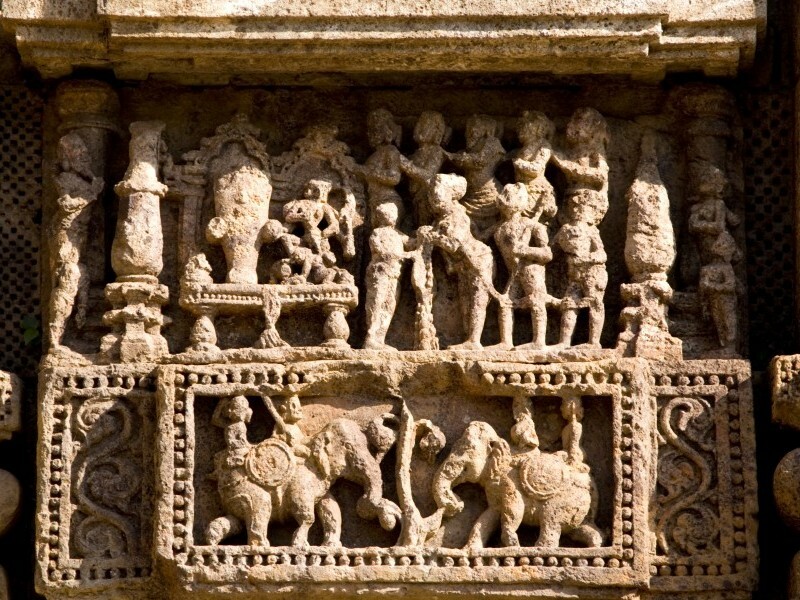 We visit Sun Temple; it has been built in the form of a giant ornamented chariot of the Sun God, Surya. 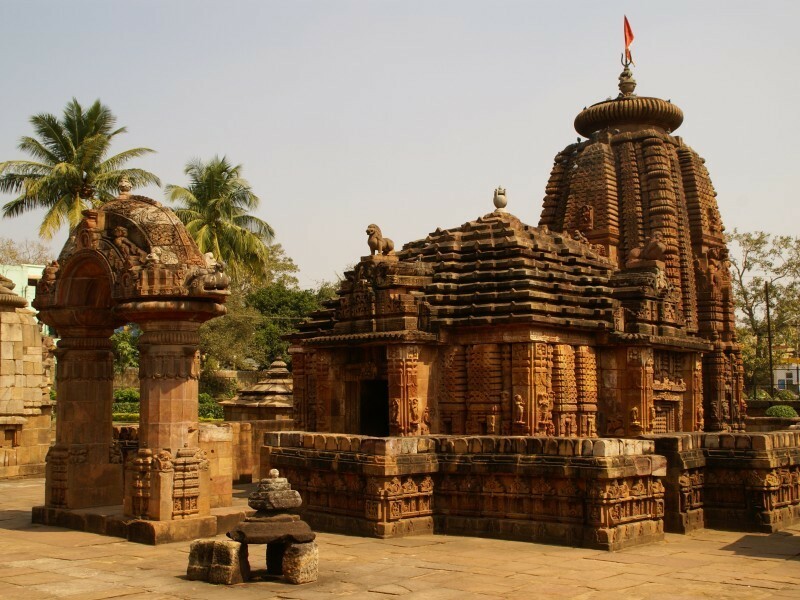 It has twelve pairs of elaborately carved stone Kalinga architecture, later we drive back to Puri and then on to Raghurajpur village to see the traditional Patta cloth painting. Return to Puri in the evening. This day we have free time to relax in Puri; spend time on the sandy beach and explore the many Hindu temples. Early morning drive to Bhubaneswar, then take the express train back to Kolkata; arrive afternoon and check-in to the hotel.